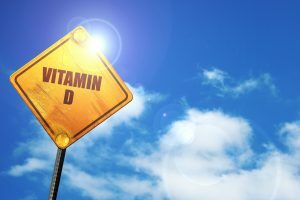 Could vitamin D protect against bone loss? Are you one of the 44 million Americans with low one density? If so, and if you are over the age of 50, you could be one of the 10 million Americans with osteoporosis. Osteoporosis is a dangerous condition in which your bones become fragile and at risk for fractures. In older individuals, osteoporosis can lead to hip fractures that can limit mobility, or even spine fractures that could be debilitating. 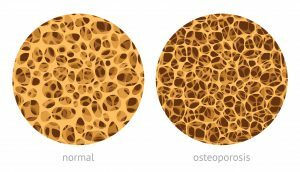 Older women at are most risk for osteoporosis, but this condition can occur to both men and women at any age. Osteoporosis can weaken bone strength over time increasing risk of hip, wrist, and spinal fractures. 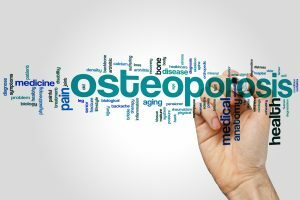 If you want to prevent osteoporosis, there are a few controllable factors that you can take charge of to lower your risk. Quit smoking or don’t start if you don’t smoke. A recent study by researchers from Harvard-affiliated Hebrew Senior Life found that older adults who consumed calcium-rich foods such as yogurt, milk, or cheese had higher bone mineral density in the spine and less bone loss in the hip. 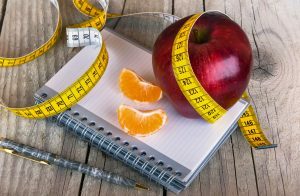 However, this risk was only reduced significantly along with consumption of vitamin D supplementation. 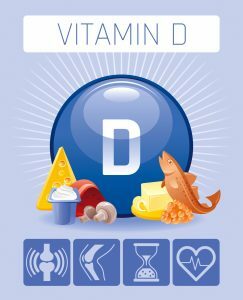 It is suspected that this finding is due to vitamin D’s important function of assisting with calcium absorption. 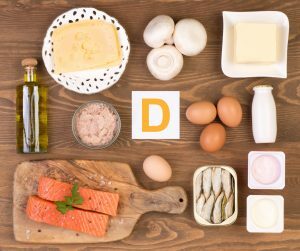 Without vitamin D, our body cannot adequately absorb all of the calcium goodness from the foods that we eat. In turn, our bones cannot receive the strengthening elements of calcium needed to preserve bone and prevent bone loss. Also, by increasing your sunlight exposure you can naturally increase your daily intake of vitamin D. However, the amount of sunlight exposure needed to provide the most benefit will differ for everyone. This is because the time of day, where you live, and skin pigmentation can all affect the amount of vitamin D your skin makes. Furthermore, pair your healthy bone regimen with a supplement like Osteovent from Vita Sciences. Osteovent is power-packed with bone healthy vitamins such as vitamin D, calcium, magnesium, vitamin K, and boron that are recommended by the Open Orthopaedics Journal. Visit the National Osteoporosis Foundation website for all of the great work they are doing to help increase awareness of osteoporosis and improve bone health efforts.